GLI Plastic Manufactured Products. - Great Lakes International, Inc.
At Great Lakes International, we take great pride in saying we're a U.S. Plastics Manufacturer! 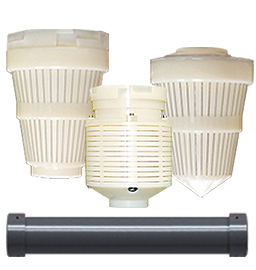 For well over 40 years, we have manufactured plastic component parts for water treatment professionals. In fact, we are the original manufacturer of the 'Wrap-Around Tank Jacket'. Around the clock, our extrusion lines produce standard products that are used every day by water treatment professionals. 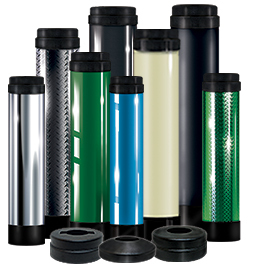 GLI designed and manufactures the vacuum formed cover used with plastic wrap-around and stainless steel tank jackets. With our modern, state-of-the-art equipment, we are able to produce sharp looking, economically priced covers; adding an enhanced look to your equipment. We mold thousands of plastic component parts everyday using our 50 to 200 ton injection molding machines. 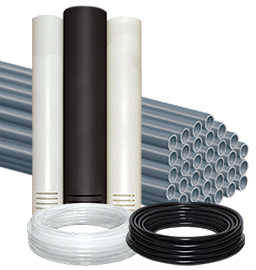 • A variety of caps and plugs for brine wells, riser tubes and membrane vessels.